Food, clothes and shelter form the basis of all civilizations. In this time and era, we would think every person can afford a place they call home. The National Low Income Housing Coalition measures the availability of rental housing affordable to extremely low income (ELI) households and in their 2017 report, they said there was a shortage of 7.4 million affordable and available rental homes for ELI renter households in the USA. So this month we decided to join hands with a local non profit, Friends of Brooks Quarry (FOBQ), a registered 501(c)3 in the state of CT that works with a low income housing complex, Brooks Quarry. Its a cause dear to our hearts as the complex is in our neighborhood and impacts the lives of people who live in our community. Brooks Quarry is an affordable, independent living housing complex for elderly and low-income individuals. The facility consists of 35 units and is nestled on 16 acres located in Brookfield, Connecticut. The residents of Brooks Quarry are a multigenerational mix of senior and disabled individuals that have one thing in common, their inability to pay a high rent. Over the years with barely any funds, the complex has deteriorated and is in dire need of repair and maintenance. Friends of Brooks Quarry is raising funds now to help with the much needed repairs and maintenance. So we choose Friends of Brooks Quarry for our May Giving Day. Please join us on May 10th and help support seniors and disabled members of our community. Shop more to Give more. Thank you for being our customer and believing in us. Please join us in supporting and spreading the word on May 10th for Brooks Quarry. This is a local charity to HPFY, and close to our hearts. The folks who will benefit often have difficulty making ends meet, in low-income housing that is in need of maintenance and repairs. 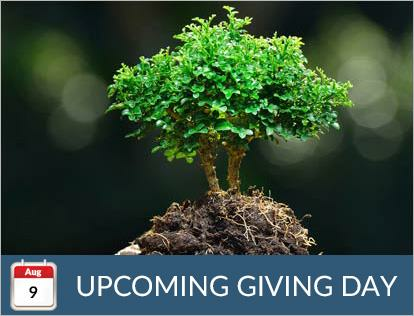 We know that they will appreciate every dollar they receive from this Giving Day. So together we’ll work towards the common goal of helping Brooks Quarry. 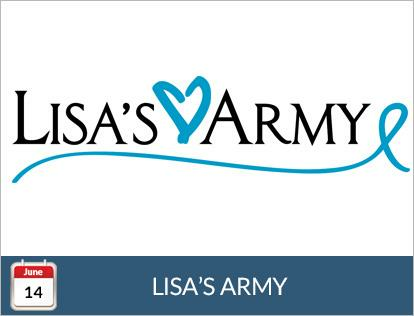 Using the social media buttons on this page you can show your support and help their mission be known! Friends of Brooks Quarry Inc.
Brooks Quarry is a senior/disabled community serving Brookfield, CT for nearly 40 years. We are a multi-generational mix of seniors and disabled people who are able to live independently. Our community is operated by The Brookfield Housing Authority, and managed by DeMarco Management. Our mission statement is to foster a safe and healthy independent living community setting that respects the rights and dignity of each individual. 1. Making responsible financial decisions. 2. Providing lines of communication that encourage individual responses, keeping in mind the protection of the rights and dignity of others. 3. Making sure the complex is maintained and developed with the safety and health of the residents being the primary concern. 4. Fully supporting community projects centered on the welfare of others. 5. Arranging various social events to entertain and encourage participation with other tenants. Our residents are from many varied backgrounds; some of us are wheelchair-bound, some of us are able to manage with walkers, some of us are able to get around on our own. Many have our own cars; some of us are dependent on the buses, which come to the complex with a phone call. One thing we have in common is our inability to pay a high rent. This is the reason Brooks Quarry came into being. Time has taken its toll on Brooks Quarry. Our community, although not in deplorable condition, is showing its age. Monthly subsidized rent is collected from the residents depending on their financial condition, and most of us seek further assistance towards fulfilling the commitment. This makes upgrading the complex difficult; rent monies barely cover expenses, and leave very little to use for improvements. Funds that were promised by the previous administration to housing authorities are no longer being considered in the state budget. We are asking for assistance to help us to upgrade our complex so that we do not become one of those sad, neglected pieces of property, and an embarrassment to our town. Renovate the apartments - modernize them and enhance them to ADA suggestions. Most of the units still have bath tubs, which are a challenge for most of us; some tubs would be replaced with roll-in showers, some would be replaced with step in showers, with the residents’ safety in mind. Kitchen shelves and counter-tops should be modified for some units for disabled residents who have problems with standard height cabinetry. Provision of aids of daily living, like counter top can openers, leg, lifters, body positioners, and other such ADLs that are deemed necessary. Provision of medical equipment for disabled not covered by health insurance, such as rolling shower chairs, height adjustable commodes, etc. Appliances such as stoves and refrigerators which are in need of replacement. Most of these appliances were installed when the complex was build, and are well past their prime. Our community room furniture is worn, and should be replaced. Energy efficient lighting around the community that promotes a safe environment for the residents. Lighting is dim, and sparse. Walkways within the complex are crumbling, and that poses a hazard to the residents, since many use walkers and wheelchairs to move around within the area. Benches around the yards which serve as resting places for those residents who like to take a stroll around the grounds are wooden, and rotting due to age, and useless. Within the units themselves, sinks and bathroom fixtures need to be updated. Flooring needs have to be addressed. Some units have new flooring, but most have carpeting which is threadbare in spots, due to age. Windows are in need of replacement: The current windows are not energy efficient, and lose heat in the winter, raising our heating costs. Social events need to be sponsored. Sunday afternoon films, luncheons, refreshments, etc. can be held at the community room, but these things cost money. 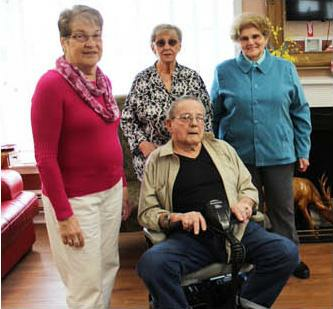 Having functions in the community room builds camaraderie among the residents. Trainer based activities, such as stretching exercises, and light fitness training on a regular schedule that keeps the residents motivated and promotes better health. Picnics and out-of-town activities during the summer, spring and fall, so residents can enjoy each other’s company and do different activities. As you can see, we have a long list of requirements that we need to accomplish in order to bring Brooks Quarry up to its former state. If we can start with some small project, possibly replacing the benches, it would give a boost to the residents, and spruce up the grounds. 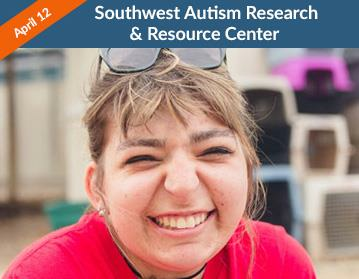 Southwest Autism Research & Resource Center (SARRC) is internationally recognized and is Arizona’s leading and largest nonprofit organization serving the autism community. Established in 1997 by two mothers of children with autism and their pediatrician, SARRC’s mission is to advance research and provide a lifetime of support for individuals with autism and their families. For 22 years, SARRC has been rooted in autism research, education, evidence-based treatment and community outreach. We are one of eight nonprofits in the nation conducting its own independent research while providing a lifespan of services for individuals with autism spectrum disorder (ASD). Nationally, 1 in 59 children are diagnosed with ASD, making it the most prevalent childhood developmental disorder in the United States. With a focus on delivering the highest-quality, evidence-based services and programs available, SARRC is focused on growing to meet the ever-increasing demands of the autism community while advancing our innovative research. 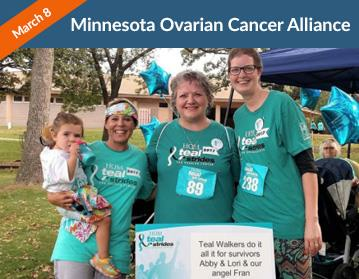 The Minnesota Ovarian Cancer Alliance (MOCA) is a non-profit organization dedicated to raising awareness, providing support to women and families impacted by the disease and funding the research needed to detect ovarian cancer early and treat it properly. MOCA was founded in 1999. We are celebrating 20 years of progress against ovarian cancer in 2019! Since our early days, MOCA has grown to an organization of 1,000 survivors and more than 45,000 supporters throughout the country. Each year, MOCA funds ovarian cancer research projects both in Minnesota and nationally. MOCA has awarded more than $8 million to research projects for ovarian cancer research. MOCA also funds early detection research on a national basis. There is no early detection test for ovarian cancer, which is why research is vital. MOCA is national leader in ovairan cancer research funding. MOCA offers a wide range of support programs throughout the state. 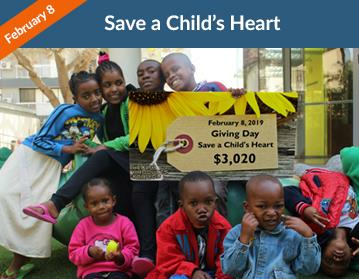 SACH is an Israeli-based international humanitarian project providing life-saving heart surgeries and follow-up care for children from developing countries. Our mission is to improve the quality of pediatric cardiac care for children from developing countries, who suffer from congenital heart disease and to create medical centers of competence in these countries. One in every one hundred babies is born with congenital heart disease. Almost one third of them will need surgery during their first 12 months. Without surgery, 20% will die within weeks after birth. Presently, there are more than 1000 children on our waiting list. SACH is a hospital based project whose services are provided in Holon, Israel at the Wolfson Medical Center (WMC) by a team of 70 dedicated experts who, from chief surgeon to physiotherapist, volunteer their time without any payment. SACH has been recognized by the US government, European Union, and United Nations for its achievements. 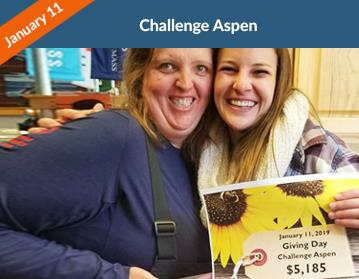 Challenge Aspen is dedicated to impacting lives through year-round adaptive experiences for individuals faced with cognitive and/or physical disabilities. It creates life-changing opportunities by encouraging participation in activities designed to redefine limits, recognize abilities, and transfer newfound courage to everyday life.Challenge Aspen is an organic outgrowth of the individually conceived dreams of co-founders, Houston Cowan and Amanda Boxtel. Both experienced life changing moments that solidified their connection to the adaptive recreation field. For Amanda, it was a ski accident that left her paralyzed. Houston was first introduced to adaptive recreation through Blind Outdoor Leisure Development (BOLD) as a volunteer guide and instructor. Each utilized their life experiences to formally establish Challenge Aspen in 1995 in Snowmass Village, Colorado. Asha for Education is a fully volunteer-run 501(c)(3) non-profit organization in the US that started in the summer of 1991. A few students including V.J.P. Srivatsavoy, D. Gupta, and S. Pandey got together to think of ways in which they could play a role in the development of India, the country of their origin. These young people shared the belief that education is a critical requisite and an effective catalyst for social and economic change in India. Basic education became the agenda for the action group that emerged from this gathering. The group was named Asha to represent the hope that had brought these individuals together and the hope that they aimed to bring into the lives of children in India. 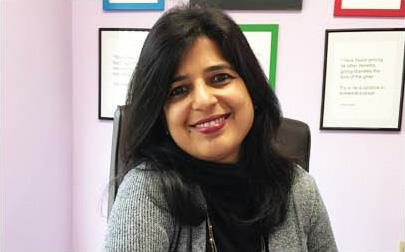 As a result, Asha was born at the University of California in Berkeley. 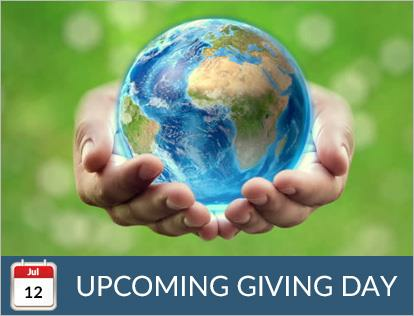 The organization has more than 1000 active volunteers and several thousand supporters around the world. Till date, Asha has supported more than 400 different projects spread across the length and breadth of India. PAWS founders Paula and Alexis Fasseas’ awareness moment only came after they rescued a stray dog they named Pippen from the Greek island of Crete in June 1996. Pippen would have been poisoned once tourist season ended. The Fasseas family was shocked Greece would treat its animals with such cruelty. Pippen’s story inspired Alexis to help homeless pets back home. As a high school sophomore, Alexis signed up to volunteer at a local animal shelter to fulfill her community service requirement. 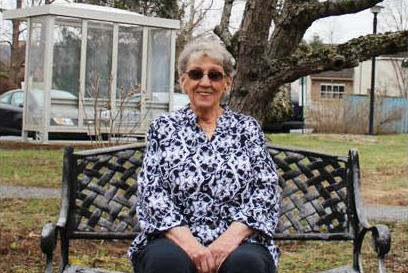 She was shocked when she learned that instead of saving pets, the shelter was replacing basic medical care with euthanasia. A simple sneeze was a death sentence. Over the next two years, Paula and Alexis saw the terrible story of mass euthanasia of cats and dogs repeatedly. Since our founding in 1975, the Women’s Center has been a safe haven as the sole provider of services to victims of domestic and sexual violence in the Northern Fairfield and Southern Litchfield County areas. Each year, the Center serves over 20,000 individuals from our area communities. Our free and confidential services are available 24 hours a day, 7 days a week, 365 days a year. The Center’s key areas of focus include emergency shelter and support services, couseling and advocacy, crisis intervention, and community education, primary prevention and training. 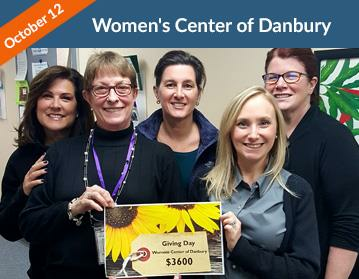 All funds provided to the Center support our critically needed domestic violence, sexual assault and resource services for adults and children in our 13-town service area, including: Bethel, Bridgewater, Brookfield, Danbury, Kent, New Fairfield, New Milford, Newtown, Redding, Ridgefield, Roxbury, Sherman, and Washington. 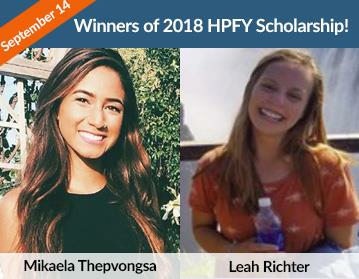 Meet the Winners of 2018 HPFY Scholarship! Mikaela, the winner of our HPFY Disability Scholarship, has proven grit and determination can overcome any disability. She has bilateral profound hearing loss and a vestibular disorder due to a diagnosis of static encephalopathy in early childhood. Leah, the winner of our HPFY Make a Difference Scholarship, is making a big difference in the lives of countless under privileged children in US and the world. She has over a 1000 volunteer hours in the last two years. Her mission in life is to help homeless children across the world. 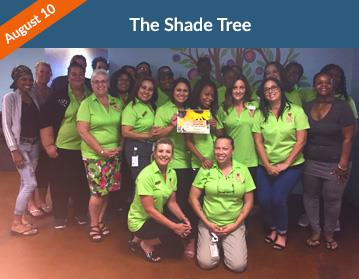 Since our founding in 1989, The Shade Tree has provided a safe haven to more than 100,000 women and children in crisis from homelessness, human-trafficking, domestic violence and abuse. Our primary service is our 90-day Emergency Shelter program which provides food, shelter, counseling, medical care, job training and compassion to families in need to help them stabilize and regain some independence. Domestic violence and other situations that lead to homelessness impact women and children from all walks of life. That’s why The Shade Tree is here for every woman who needs our services and has the desire to improve her life, become self-sufficient and achieve a level of financial independence to support herself and her family. For every child who stays with us, we strive to provide a variety of educational and recreational opportunities to which they would otherwise not have access. Seva Mandir is one of India’s leading development nonprofit organizations. It currently works with 360,000 people across 700 villages of southern Rajasthan, where over 90% of the population relies on subsistence agriculture and most people live on less than Rs. 20 ($0.35) a day. For over 45 years, Seva Mandir has worked in partnership with these people, not only to improve their material well-being, but to build stronger and more ethical communities. Through its programs on governance, health, education, sustainable use of natural resources, women’s empowerment, youth development, child care and social enterprise, Seva Mandir makes a tangible and transformative impact. Every year, 12,000 disadvantaged children receive a quality education in its schools; 8,000 women and children out of reach of hospitals are offered critical health services; thousands more families achieve food security. Everyone on the planet has the right to the nutritious food necessary to live life to their full potential. 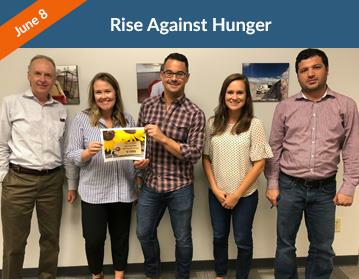 Since its founding in 1998, Rise Against Hunger - an international hunger relief organization - has grown exponentially, and the ways in which the organization seeks to end hunger continue to evolve. From the implementation of sustainable community development projects to the organization’s meal packaging program that harnesses the passion of local volunteers, Rise Against Hunger strives to make a global impact on hunger by building resilience, self-sufficiency and empowerment among communities worldwide and show the world that it is, in fact, possible to end hunger by the year 2030. Around the world, just over 815 million people lack adequate food. One in nine people go to bed hungry each night. 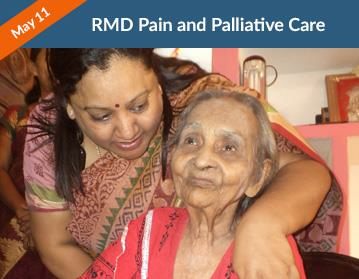 RMD Pain Relief and Palliative Care, is a registered not for profit organization, established in 2005, located in T. Nagar, Chennai and is headed by Dr. Republica Sridhar a Palliative and Geriatric Care Specialist who has over 15 years of experience in caring for the terminally ill. The Trust is based out of Chennai, and has its operations focused primarily in Tamil Nadu, India. The organization provides pain relief and palliative care to terminally ill patients and their families through medical care and counselling. It also aims at providing out/in patient service and home visits, family support and counselling, grief and bereavement support. The beneficiaries of the care are terminally ill & geriatric patients from the economically weaker sections of the society. 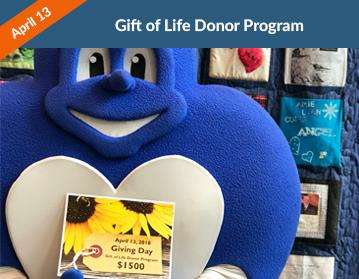 Gift of Life Donor Program is the region’s non-profit organ and tissue donor program which serves as the link between those who want to be organ and tissue donors and those who are waiting for a life-saving organ transplant at one of the 15 regional transplant hospitals. Serving the eastern half of Pennsylvania, southern New Jersey, and Delaware, Gift of Life has coordinated more than 44,500 organ transplants since 1974. There are more than 115,000 men, women and children across the country waiting for heart, kidney, liver, lung, intestinal and pancreas transplants, including more than 5,400 in our region. Tens of thousands of other patients benefit from cornea, tissue and bone grafts each year as a result of individuals saying yes to tissue donation. Despite the many people who do say yes to organ and tissue donation, 20 people die every day waiting for a transplant. The International Women’s Health Coalition (IWHC) advances the sexual and reproductive health and rights of women and young people, particularly adolescent girls, in Africa, Asia, Eastern Europe, Latin America, and the Middle East. IWHC provides grants, technical assistance, and mentorship to women leaders and women’s rights organizations in Africa, Asia, Eastern Europe, Latin America, and the Middle East that are working to advance women’s and girls’ health and rights at local and regional levels. 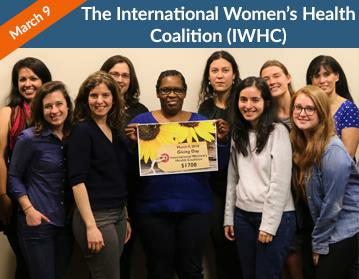 At the international level, IWHC brings pioneering ideas, evidence, and expertise to the forefront of multilateral negotiations on women’s rights and health, playing an active role in New York City at the United Nations (UN) headquarters, and in Washington, DC. By working closely with women’s organizations around the world, IWHC gains the perspectives of women on the ground and helps make their voices heard in the halls of power at global-level policy negotiations. 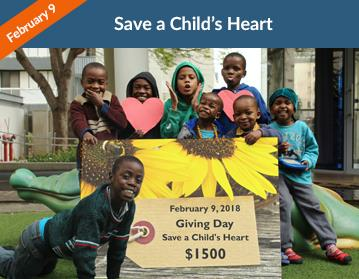 SACH is an Israeli-based international humanitarian project providing life-saving heart surgeries and follow-up care for children from developing countries. Our mission is to improve the quality of pediatric cardiac care for children from developing countries, who suffer from congenital heart disease and to create medical centers of competence in these countries. One in every one hundred babies is born with congenital heart disease. Almost one third of them will need surgery during their first 12 months. Without surgery, 20% will die within weeks after birth. Presently, there are more than 1000 children on our waiting list. SACH is a hospital based project whose services are provided in Holon, Israel at the Wolfson Medical Center (WMC) by a team of 70 dedicated experts who, from chief surgeon to physiotherapist, volunteer their time without any payment. SACH has been recognized by the US government, European Union, and United Nations for its achievements. It is the only Israeli medical organization that the Palestinian Authority has a formal partnership with. The Seeing Stars Foundation is a 501 (c) 3 non-profit organization whose mission is to support research and education on sports related concussion and sports related neurological injuries from the pee wee to the professional level. The Foundation is currently working on a national outreach program to train physicians, athletic trainers and other healthcare professionals in the diagnosis and management of sports related concussion. We are well-informed and concerned about the frequent occurrences of sports concussion, and most importantly the lack of assistance available to young athletes and youth sports organizations. 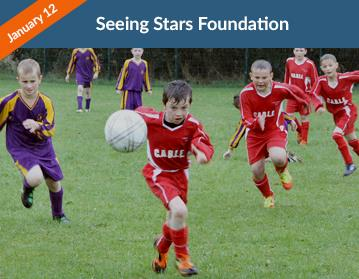 Seeing Stars Foundation is helping to fill this gap to keep young athletes safe and healthy. Seeing Stars was founded by Neurologists with an expertise in sports related neurological issues in an effort to improve the quality of life of athletes of all ages. Our doctors serve as consultants and team physicians for the NFL, NHL, Professional Boxing, the NCAA, United States Tennis Association. 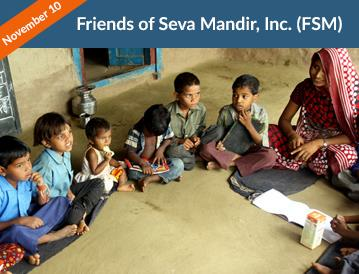 Friends of Seva Mandir, Inc. (FSM) is a 501(C)(3) public charity based in Edison, New Jersey. It is organized and operated exclusively for charitable purposes, supporting education of rural and tribal children, early child care and development, health, environment conservation, women’s empowerment and building stronger communities in underdeveloped areas of India. We have been registered as a charity since July 27, 2009. Our activities include making grants to Seva Mandir, a much respected Indian voluntary organization working in South Rajasthan, India. Seva Mandir was founded in 1968 and is currently working in over 600 villages and reaching over 70,000 households. 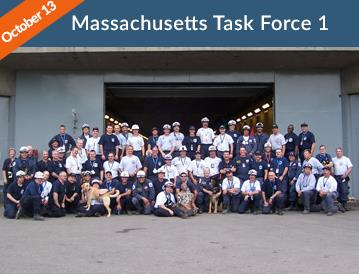 Massachusetts Task Force 1 ( MA-TF 1) Urban Search and Rescue Team (US&R) is located in Beverly, Massachusetts. Urban Search and Rescue teams are comprised of Police, Fire, EMS and Civilians (62 total people when deployed) and respond to major disasters under a contract with the Federal Emergency Management Agency (FEMA). Currently there are 150 people on the MA-TF 1 team. Sponsored by the City of Beverly, Massachusetts, MA-TF 1 maintains the heritage established by the Lexington Minutemen at the onset of the American Revolution: the spirit of cooperation and volunteerism that sustains the vitality of a democratic society as well as the infrastructure of emergency response. As Hurricane Sandy turned into Superstorm Sandy, MA-TF 1 was activated by the Commonwealth of Massachusetts to stand at the ready as a state asset. 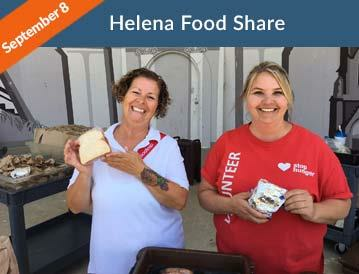 Since 1987, Helena Food Share has been providing food to our neighbors in need. At Helena Food Share, it is our mission to serve our neighbors in need by providing food in a respectful and dignified way and by working with others to eliminate hunger in the greater Helena area. Our vision, simply, is to create a hunger-free community. We know that 1 in 7 residents of Helena struggles with hunger. 1 in 5 Helena children don’t know where their next meal is coming from. Families come to the Helena Food Share pantry because they are facing difficult times. These folks need help while they experience difficulty paying medical bills, struggling with a disability, finding their way through a layoff, or they’re simply doing their best to make ends meet with a low or fixed income. No matter the situation, we are dedicated to serving our customers with dignity and respect. In 1995, Karen Shirk was told she was too disabled to receive a service dog. She decided to make sure no one else ever had to hear those words. 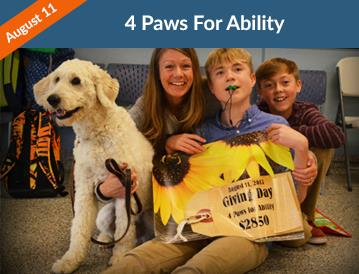 4 Paws for Ability is the embodiment of Karen’s vision - a nonprofit organization that breeds, socializes, trains, and places service dogs with children and veterans. Since its inception in 1998, 4 Paws has paired over 1,100 trained service dogs to people living with a variety of disabilities. 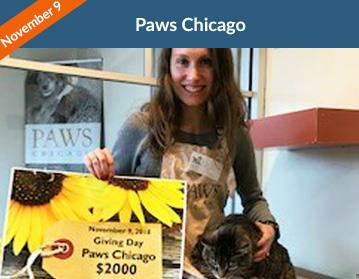 With a team of 75 employees and over 600 volunteers, 4 Paws now places over 100 dogs per year. 4 Paws dogs (and the humans they love and serve) can be found in almost all 50 statesas well as Australia, Canada, Germany, Japan, Mexico, New Zealand, and Switzerland. Dogs trained through 4 Paws meet the criteria for ‘service animals’ as defined by the Americans with Disabilities Act (ADA). 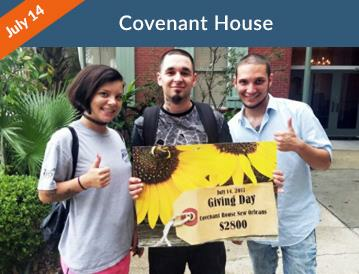 Covenant House New Orleans was founded on the edge of the French Quarter 30 years ago to provide a safe haven for homeless, runaway, and at-risk youth (ages 22 and under). We have provided over 20,000 kids with food, shelter, clothing, medical care, educational and vocational support, individual and family counseling, job readiness and placement, short & long-term housing, life skills, and more. The vast majority of our youth have endured physical and/or sexual abuse and have also experienced the violence of the streets. Our counselors estimate 85% suffer from some form of traumatic stress disorder. Tulane’s Cowen Institute estimates there are 26,000 at-risk youth in our community. Our first priority is always to reunite our youth with healthy, functional family. For the majority of our kids for whom family is not an option, we give them an educational & vocational assessment and help them find a job that suits their skills. 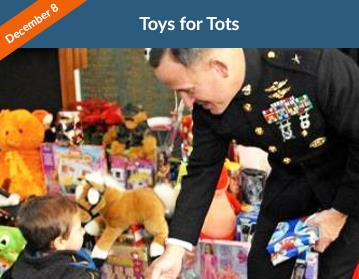 Soldiers’ Angels provides aid and comfort to the men and women of the United States Army, Marines, Navy, Air Force, Coast Guard, and their families and a growing veteran population. 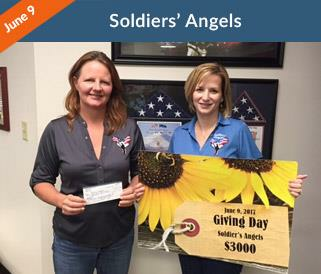 Soldiers’ Angels was established in 2003 by the mother of a son who was deployed to Iraq. She began sending care packages to her son and was then asked to not only send more care packages to many more deployed but to also assist with other needs. September 11th was a catalyst that inspired Americans to support the military and help out any way they could. Soldiers’ Angels was created as an opportunity for them to provide that support with care packages, hand-sewn blankets, letters, cards, and other items from ‘home’. In just 14 years, since this small beginning of sending care packages, Soldiers’ Angels has grown to over 12 Programs with over 100,000 volunteers nationwide. Most of the programs and services offered by Soldiers’ Angels are performed by volunteers who work tirelessly supporting our nation’s veterans, wounded warriors, deployed service members and their families. On May 12th, HPFY donated 10% of the day’s sales to ‘Asha for Education’. Asha for Education took roots in 1991 when a group of students including Deepak Gupta, Sandeep Pandey, and VJP Srivatsavoy from the University of Berkeley, CA got together and discussed ways to bring about a socio-economic change in India. The group was formed with a belief that education is a requisite to bring about the much needed socio economic change in India. It was named ‘Asha’, meaning ‘hope’. Since then, Asha for Education has grown via its chapters, and today has more than 65 chapters worldwide. 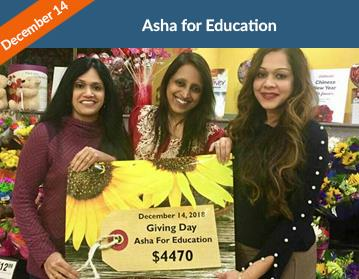 Asha for Education is a 501(c)(3) organization in the US. Each year, our work touches the lives of several thousands of children across a few hundreds of projects. We have no offices, and 100% of our efforts are driven by unpaid volunteers. All donations are tax deductible, and we have earned a reputation for sending >98% of donations to our projects. 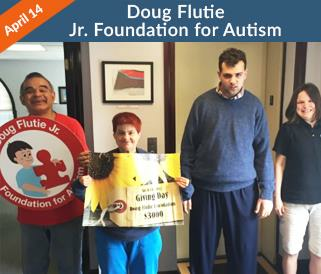 On April 14th, HPFY donated 10% of the day’s sales to ‘Doug Fluite, Jr. Foundation for Autism’. The Flutie Foundation awards grants to individuals and families dealing with the challenges of autism. The Doug Flutie, Jr. Foundation for Autism, Inc. was established in 1998 by former NFL quarterback Doug Flutie and his wife, Laurie, in honor of their son, Doug, Jr. who was diagnosed with autism at the age of three. Through their General Grants, Joeys Fund, Allison Keller Technology fund and other programs and initiatives, The Flutie Foundation awards grants to individuals and families dealing with the challenges of autism as well as to the organizations that support them. The grants that they provide give individuals with autism access to much needed educational and other support services, autism specific active lifestyles programs and assistance with transitioning to adult independence. In addition The Flutie Foundation, through their grant programs, awards grants to nonprofit organizations that provide direct services such as family support, education, advocacy and recreational opportunities for individuals with autism. 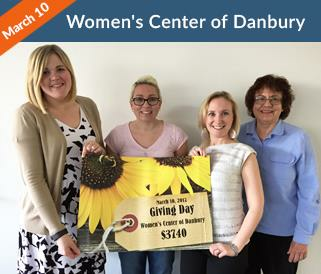 On March 10th, two days after International Women’s day, HPFY donated 10% of the day’s sales to Women’s of Danbury. 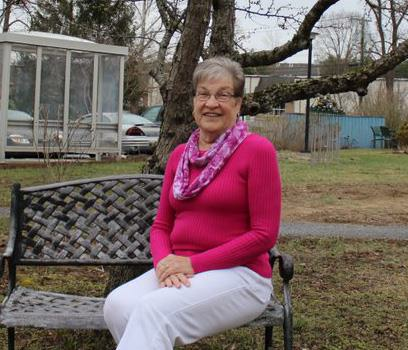 Since 1975, the Women’s Center of Greater Danbury has been a safe haven as the sole provider of services to victims of domestic and sexual violence in the Northern Fairfield and Southern Litchfield County areas. Each year the Center serves over 25,000 individuals from our area communities. Our FREE and confidential services are available 24 hours a day, 7 days a week, 365 days a year. The Center’s key areas of focus include emergency shelter and support services, counseling and advocacy, crisis intervention, and community education, primary prevention and training. All funds provided to the Center support our critically needed domestic violence, sexual assault, and resource services for adults and children in our 13-town service area, including: Bethel, Bridgewater, Brookfield, Danbury, Kent, New Fairfield, New Milford, Newtown, Redding, Ridgefield, Roxbury, Sherman and Washington.